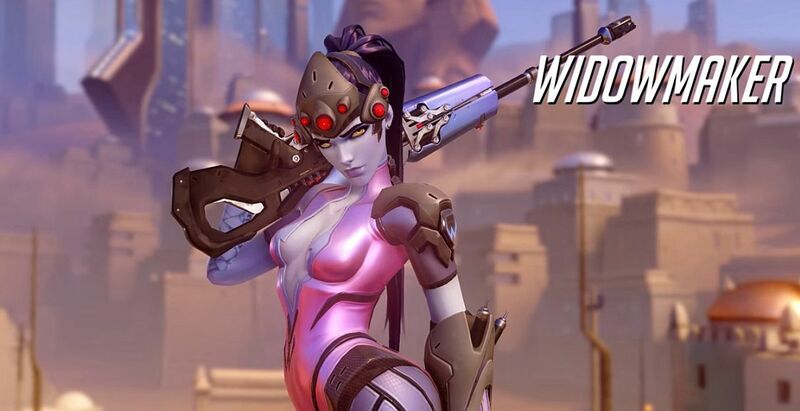 Blizzard is looking into balancing another Overwatch character, and it’s Widowmaker. The defense hero is a sniper who uses “whatever it takes to eliminate her targets.” This includes poison gas mines, a handy visor which allows her to see in infra-sight, and she carries a sniper rifle which can be used as a fully-automatic weapon. In a post on the Overwatch forums, game director Jeff Kaplan didn’t go into detail on what the team is looking to change, but did state that “lowering the frustration threshold” is on their radar. “We are discussing her,” he said. “We have some internal experiments going to see if we can keep her viable while lowering the frustration threshold a little bit. Kaplan was replying to a post on the forum asking whether Widowmaker would be balanced at some point, due to being one of the most “dominant heroes” in competitive mode. Apparently, her bodyshot damage is a bit too high, her weapon recharges rather fast and her Ultimate power, Infra-Sight, is deemed overpowered. Earlier this week, Kaplan said D.Va is getting a buff, but they are still exploring what to do with her. At present, they are looking at both her damage output and survivability. The team plans to implement changes to D.Va after tackling McCree’s Fan the Hammer move.